A ruined Greek temple sits abandoned, its once proud pillars burned and blasted from within by a superhuman force. An ancient stone forge slumbers silently among the toppled stone. Savvy Flipizens seeking to harness the forge's shocking power must do so at their own peril. But know this; local wooks whisper that the forge hums with a unnatural light as the sun sinks below the horizon each night. Come at sunset, Fortune awaits. Welcome to the Forge of Hephaestus, a truly interactive multi-medium art construct with more than a hint of danger. Hephaestus was a creator of magical items and the armorer to the gods, a patron simultaneously of fire and art. It was Hephaestus who was said to have invented shackles for Thanatos, the god of Death, in order to arrest Sisyphus. Sisyphus tricked Thanatos into handcuffing himself (seriously) and escaped, making everyone on Earth immortal for weeks until his later capture and famous eternal imprisonment in Tartarus. 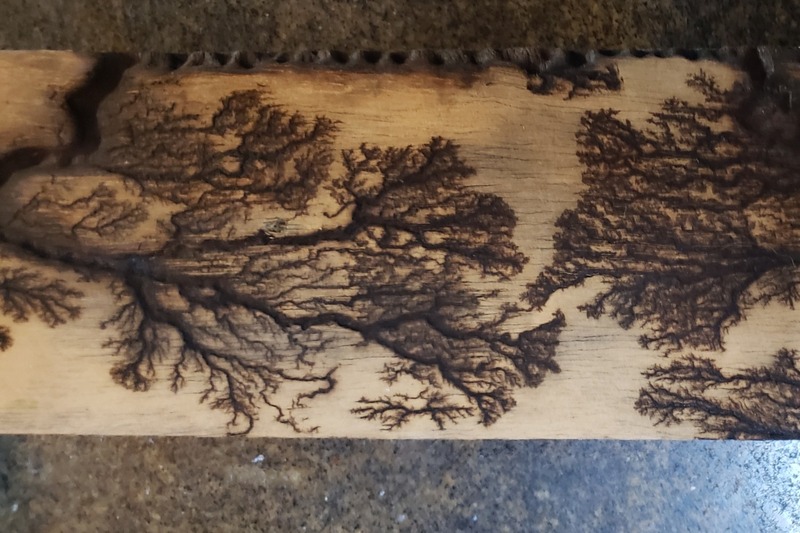 The core of the project is a LED-embedded thousand pound limestone forge that houses a lichtenberg device capable of unleashing 14000 volts. 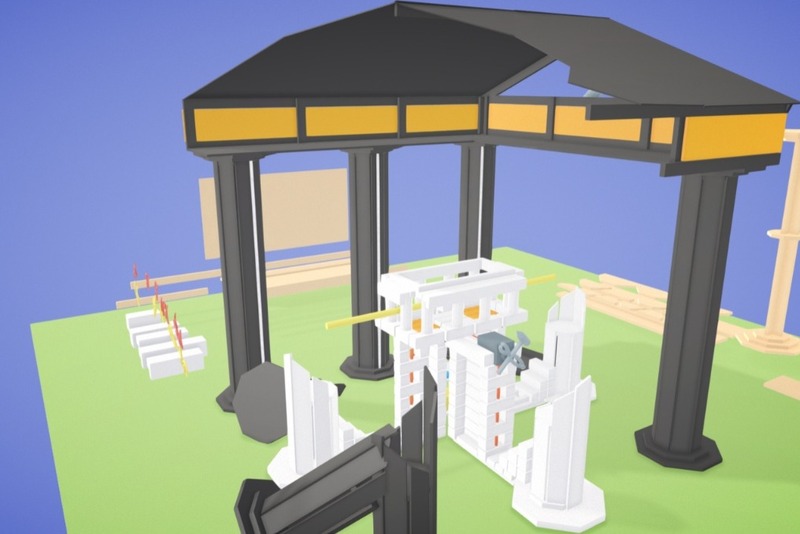 Participants, seated on the ruined columns of the temple, will use massive glowing forge hammers and hidden stone knobs to control the device, etching black lightning into any wooden object, enchanting it with extraordinary power. We will have artifacts for adventurers that arrive empty handed, but we do invite you to bring your own objects to enchant. 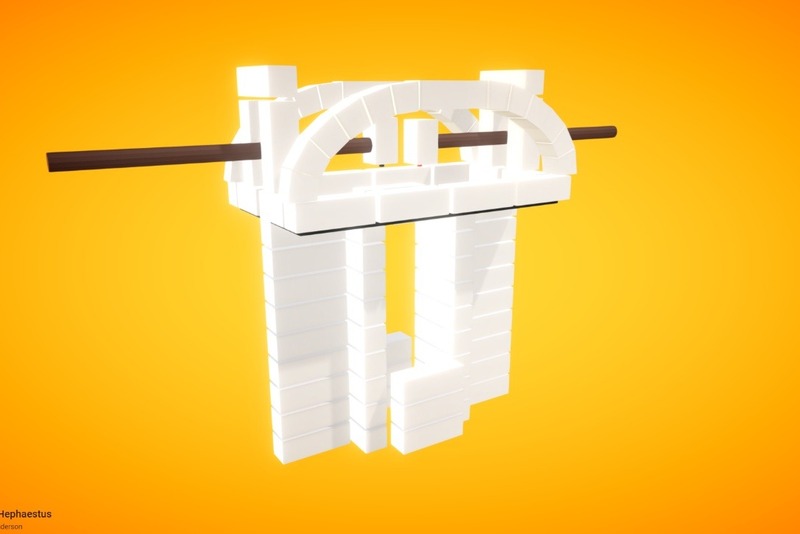 The structure housing the forge is modeled after classical Doric Mediterranean Temples and will stand almost twelve feet tall. We have many fun projects planned for it if we can secure just a bit more funding. We would like to make the ruined pillars into comfortable seats at the three operating stations for the device, as well as a few seats for spectators. It would be great to have the temple be 12x16 as was originally designed, the square form above is cramped and frankly even that is outside our budget right now. -Variable control mechanisms for the lichtenberg device. -A larger quantity and greater variety of laser cut objects for adventurers to blast with lightning. We have received the maximum possible art grant from Ignition Philter, but need just a little bit more help to deliver a fun, atmospheric, and interactive experience. The reward tiers are below if you wish to donate. Please note that in the spirit of decommodification all the experiences are of course available whether you choose to donate to the project or not! $0: Come help us cut, screw, sew, weld, paint, mortar, or blowtorch this thing into existence. Maybe add something we haven't thought of yet! A Forge of Hephaestus sticker that you can stick on your forge at home! Bring your own object to the forge at Flipside to infuse with us or your friends. Black lightning makes everything better. 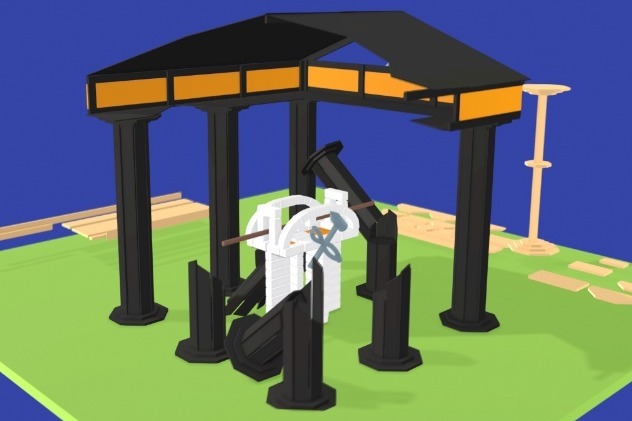 You can personally throw one of the broken pillars of the structure into the effigy fire on Sunday night. Thank you to everyone who made a donation to the project. We are thrilled that we will have a little extra to put toward lighting, fabrics, and other materials that will help make this art experience great. We will be cutting stone and working on other projects at the warehouse all day on Sunday if anyone wants to come hang out!